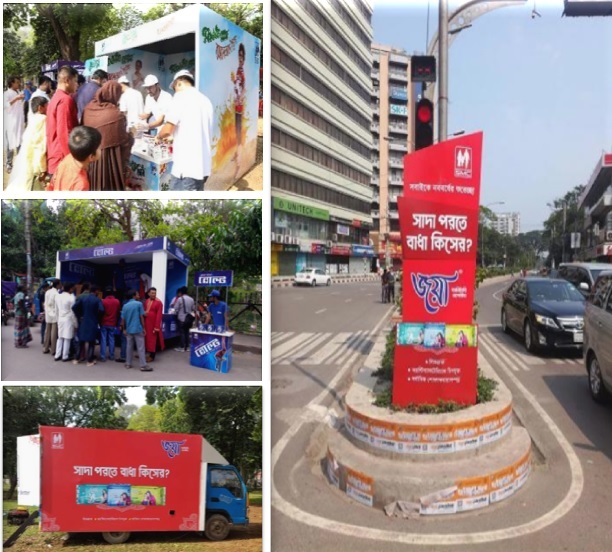 SMC EL’s Marketing team carried out outdoor activation programs at five major touch points in Dhaka city including school/college/university campuses, mosques and other hotspot areas during Pahela Baishakh and the weekends after that. More than 20,000 people experienced the brand ‘Taste Me’ on the spot and were greeted with free sachets. There were dedicated lounge facilities for women during the activation period. Joya Ultra Comfort offered free sanitary pads for trial and was sold at discounted price. There was a live musical performance with some engaging activities through games to promote BOLT.